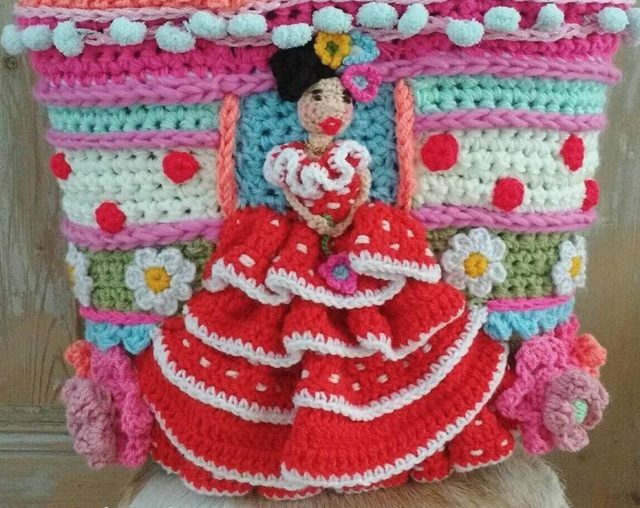 Catarina Pereira is a crochet fiber artist who makes exquisite colorful jewelry along with other whimsical items. I first found the Portugal-based artist on Instagram and later had fun exploring her blog, Facebook and Pinterest accounts. 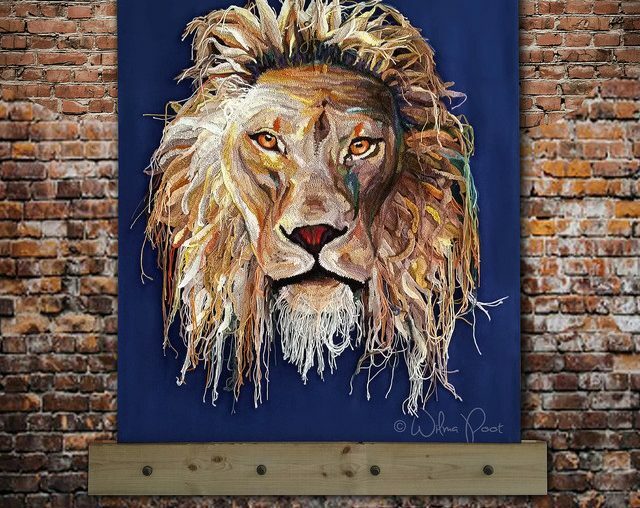 Learn more about her beautiful work from this artist interview. Maria Cabriza is originally from Paraguay, where she got a college degree and business and worked as a manager. 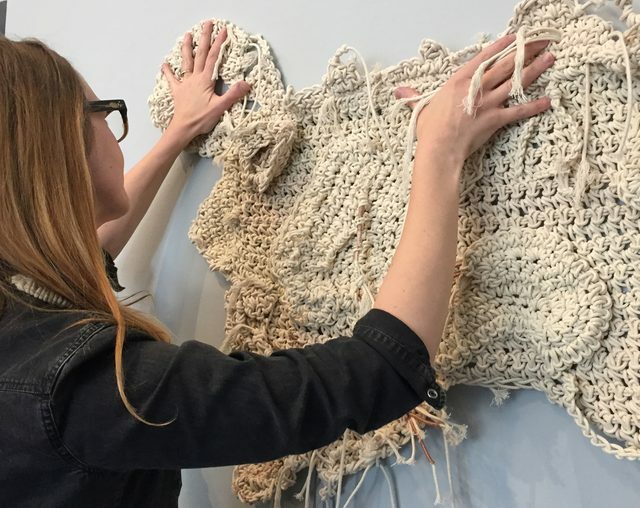 Since moving to the United States she has been able to devote herself full-time to her art, which includes crochet. Lisa Anderson Shaffer is a textile artist who creates crochet art pieces and also has a line of fiber art jewelry called Zelma Rose. I was thrilled to get the opportunity to interview her about her work, her history with crochet and how crafting has offered benefits in her life as well as the life of her grandmother. As soon as you enter Adinda’s World, you can’t help but be inspired by the bold colors, oversized organic flowers and flowing nature of all of her amazing work. 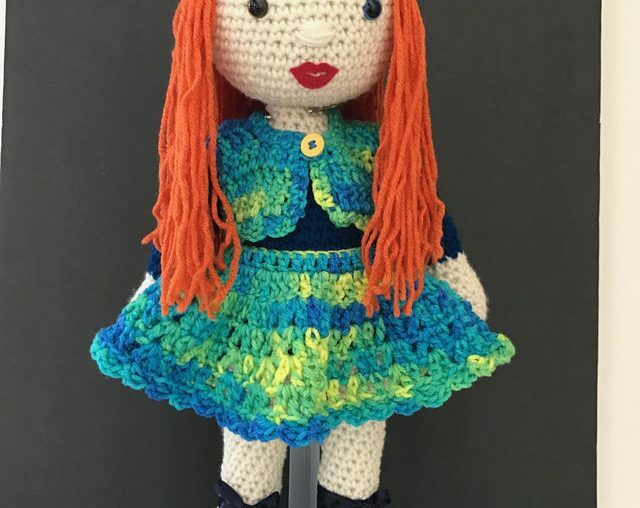 Sanita (“Sany”) Brensone is a crochet artist who loves to make blankets in bold, beautiful colors with great graphic designs. In this interview she shares more about her life, work and process.